The above quote from Franklin is often translated into French as “Qui ne risque rien n’a rien.” It is generally translated as “Who risks nothing gains nothing,” but the more literal meaning is, “Who risks nothing has nothing.” It is one of those situations where nuance matters. And in all things, risk exists. It is real, and it is evident. Although you can choose in whom you place trust, you cannot function without ever trusting anyone. What Happens if SilentVault Fails? The SilentVault system does not record identity information when a user creates a new wallet. Therefore, in the event a bankruptcy receiver, say, took control of the Silent Bitcoin Trust bitcoin wallets, it is not as though users could show their identity papers to the bankruptcy receiver or court. A given user with Silent Bitcoin in their wallet could prove their ownership of Silent Bitcoin using their signed vouchers, of course. But, if the SilentVault servers are down, those signed vouchers would be inaccessible. So, you have a group of anonymous persons with no way to prove what they owned and probably no one to whom to prove it, anyway. The same situation pertains to voucher issuers. Although we are careful about who gets to issue vouchers, and do our best to be diligent in this regard, it is a fact that any issuer could abscond with everybody’s money at any time. That’s true because the issuers have physical control of the assets, whether they are bitcoins, gold, bank money, cash dollars, or whatever. It remains possible that an issuer could be caught and punished after the fact if they did so, though there are limitations to that possibility, too. In being asked to prove that one cannot steal value from our users, we are asked to prove a negative. It is not possible to prove a negative; that’s a law of logic. For example, bank safety deposit boxes were entered by government agents after the Franklin Roosevelt administration declared individual ownership of gold by Americans to be illegal in the 1930s. Bank accounts are routinely seized through Internal Revenue Service “bank levy” of accounts. Real estate and other physical assets are seized through civil asset forfeiture processes every day. People have no control over these situations, yet they are clearly comfortable placing valuable items and documents in bank safety deposit boxes, they are clearly comfortable keeping money in bank accounts, they are clearly comfortable having real estate and other assets registered with the state. The SilentVault system allows individual users to hold and exchange assets under conditions of much greater privacy. Greater privacy does not eliminate risks of dishonesty. It does dramatically reduce risks related to force majeure. We use the best technology available to make it hard to find the servers that operate our wallet technology, and to make it difficult to brute force attack the access to those wallets. It is possible for a person to eliminate all risks of dishonesty by others by simply holding their assets in their own hands, but then they have the risk of being robbed. And, it is much more impractical to engage in trade and commerce if you are holding onto physical assets for everything. Any system of trade and commerce implies that there are parties who have to be trusted, whether those parties are in government agencies, banking enterprises with state licences, or other organisations. Even in the case of holding all your assets in physical form in your own possession requires that you trust that you have the ability to defend those assets against whatever group comes to take them away. Trust is involved, no matter what you do. Risks related to tracking the user’s identity are mitigated by anonymity measures. Risks related to trusting the vendor are not. There is a price to be paid for meaningful anonymity, and that price is reflected in the transaction fees as well as in the risk the user takes in keeping assets in an anonymous system. We do have multiple issuers to compartmentalise the risks for a given currency issuer. We do make an effort to know the issuer organisation in each case so we have some idea of who is issuing the currency and whether they are trustworthy. We also have security measures that help protect our users from loss due to technical failure, hacking, phishing, or other attacks. However, if a user doesn’t want to trust the Silent Bitcoin Trust, they do not have to do so. At any moment, a given user can transfer all their Silent Bitcoin out of the system and into Bitcoin wallet addressesof their choice. So, users who are sceptical are free to keep zero balances in their wallets. 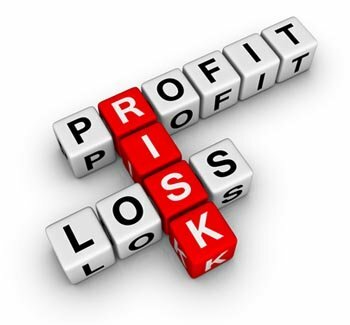 Profit and loss both involve risk. No system can be free from all forms of risk. If you are going to get anything done, you end up trusting someone else. You can control which types of risk you take, how much value you embed in each system, you can spread risks, insure against them, and mitigate them in various ways. But risk is real. It is part of the world. The clever work of Blythe Masters and the crew at JP Morgan Chase to package risks and issue credit default swaps to sovereign central banks in Europe in the late 1990s didn’t eliminate those risks; all that cleverness simply shifted risks, brought about a sovereign debt crisis, and imploded in 2008-9 with the global financial crisis that seems to have required banks like JP Morgan Chase to be bailed out with taxpayer resources. In other words, even extraordinarily clever people using the generosities of multiple government agencies cannot eliminate risk from the world of trade and commerce. Attempting to do so can have dramatic results, cost trillions of dollars, and ruin tens of millions of lives, but it cannot eliminate risk. We detail our thoughts on user risk on our blog as well as in our FAQ.